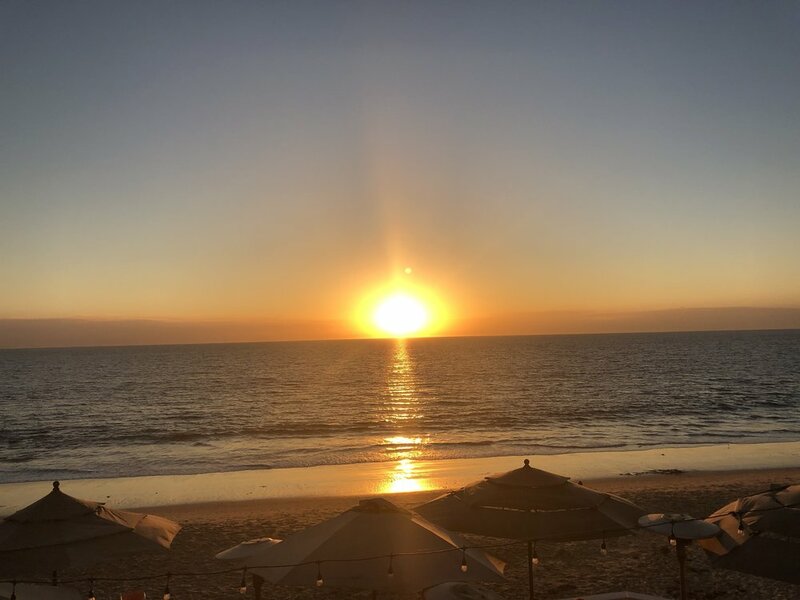 The sunsets are beautiful at Laguna Beach, south of LA, where I’ve spent the last few days in a business mastermind group. Apart from the scenery, the trip has reminded me how important it is to be in a state of continual learning. It doesn’t matter how long you’ve been in business or how far advanced you are in your career; being open to new ideas and insights is what keeps you growing. It’s the difference between a friend of mine - who’s close to my age but already has the mindset of a much older person - and my 87-year-old dad, who still thinks like a 30-year-old and is as sharp as a razor. My dad is always open to new ideas and hasn’t tied the way he thinks to the date on his birth certificate. Aren’t we incredibly lucky to be living in an era where it’s never been easier to access information? Of course, the key is to wade through the fake news and irrelevant stuff to get to the gems. While I’ve always been a book lover, I stare at words so much in my business that I’m less inclined to read in my down time or during travel - but audio books are a great solution. Whether it’s Audible or another platform, you can use travel time or the space between meetings to catch up on something to feed your mind and soul. A couple of my favourite audio books are Crucial Conversations by Patterson, McMillan, Grenny and Switzler- which gives powerhouse communication skills no matter how experienced a communicator you consider yourself to be - and Breaking the Habit of Being Yourself by Joe Dispenza, a wakeup call about the unconscious behaviours that dictate what keeps showing up in our lives. These are a great way to get bursts of information from people who’ve been there and done something you’re interested in, or who are inspired by new ideas. There are so many podcasts you’ll need to be discerning, so find one that particularly appeals to you. My current favourites are the Mind Your Business Podcast by James Wedmore - an amazing mix of mindset and business know-how - and The Change Room by Suzi Jacobs, which gives refreshing insights for your career and life. It’s amazing what comes up when you create Google Alerts for your topics of interest. You’ll receive a whole array of articles and interesting items to keep your mind ticking over. Yes, you’ll need to sort through the chaff to find the grain - but it’s there. I enjoy exploring perspectives about credibility, influence and reputation so I set up alerts for those words and every day I get a list of relevant articles. After a quick cull, I usually find one with pearls of wisdom in it. What’s your favourite way of getting new insights? I’d love to hear about it.